5” 7” 9” round tiers. 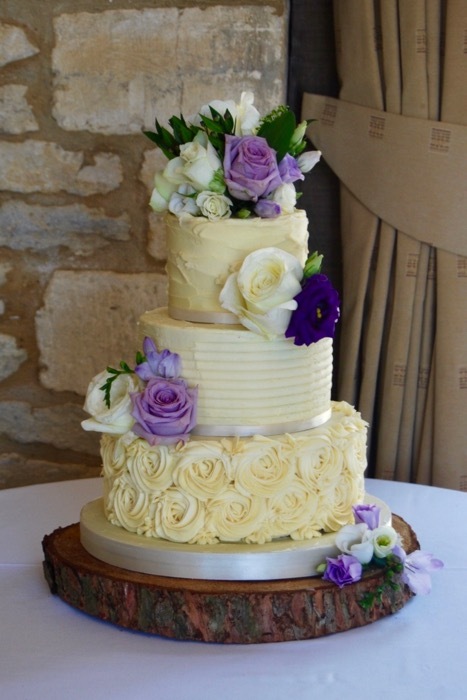 Textured buttercream tiers and buttercream piped roses. Fresh flowers.